McKinley’s Grille, 601 W. McKinley Drive (at White), Pomona; open daily 6:30 a.m. to 2 p.m., 5:30 to 9:30 p.m.
McKinley’s is the restaurant in the Sheraton Fairplex hotel at the Pomona fairgrounds. I’d been there a couple of times for fair-related lunches, and a few times more for service club lunches. Once I met Jon Provost and his wife for an interview over iced teas. But it had not occurred to me to go there for a Restaurant of the Week. After Haerr’s email I was looking for an excuse to try out McKinley’s when a colleague’s farewell dinner was scheduled there. Bingo. McKinley’s has a long main dining room with a bar, plus a private room, which is where our dinner was. The decor is all earth tones, comfortable but a little dull. But it’s swankier than a hotel coffee shop, that’s for sure. 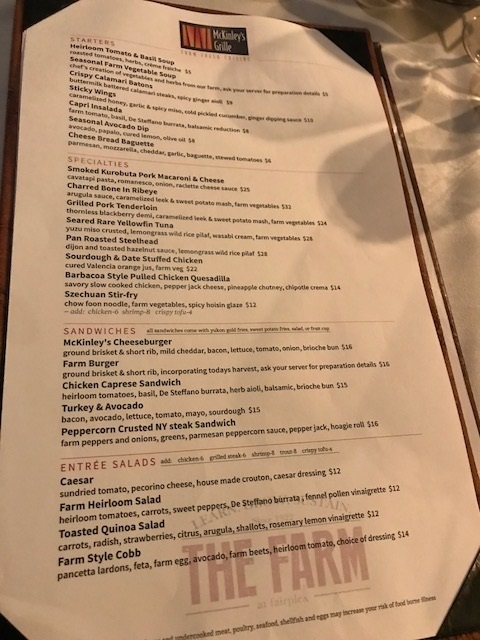 The dinner menu has starters, salads, sandwiches and entrees, the latter ranging from $12 to $32. I opted against circling the table to photograph everyone’s food, especially since most people got sandwiches. But the friend to my right had the Szechuan stir-fry ($12) with chicken ($6). She said the vegetables were fresh and likely from Fairplex’s farm and that the sauce had a pleasant kick to it. She took home half. 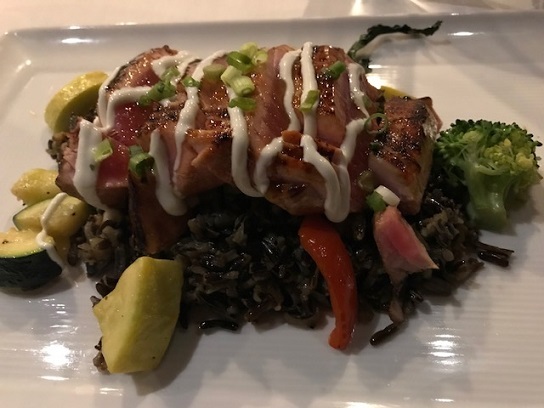 Meanwhile, yours truly splurged on the seared rare yellowfin tuna ($28), crusted with yuzu miso and served atop wild rice pilaf with wasabi cream and farm vegetables. This was a winner, light and delicious. 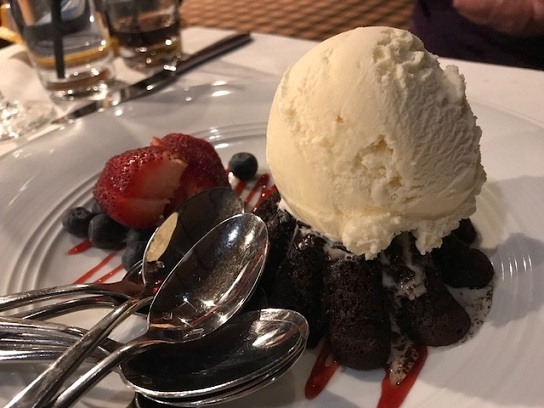 Our dearly departed was given a free dessert, a scoop of vanilla ice cream with berries. I don’t know if it’s on the menu as such, but it was enjoyed by the table. I didn’t poll the table, as I would at a lunch or dinner that was primarily about the food rather than a farewell, but everyone seemed to like what they ordered. 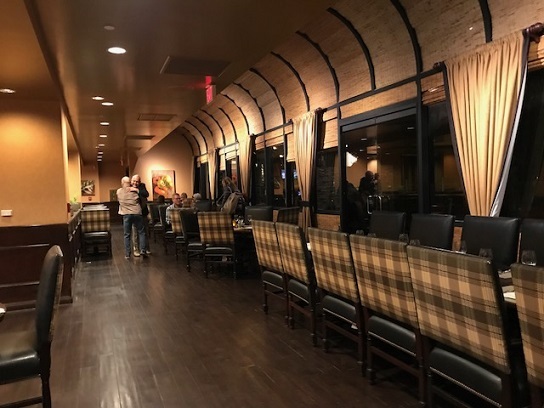 The restaurant also serves breakfast and lunch (the $16 burgers are made with ground brisket and short rib), with a mid-afternoon break in service, and has a wine list. 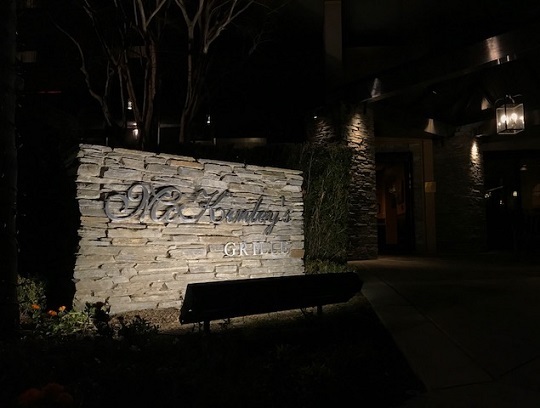 McKinley’s exists primarily for hotel guests and to provide catering for community group events on the premises, and thus perhaps doesn’t live or die by attracting regular folks in for meals. 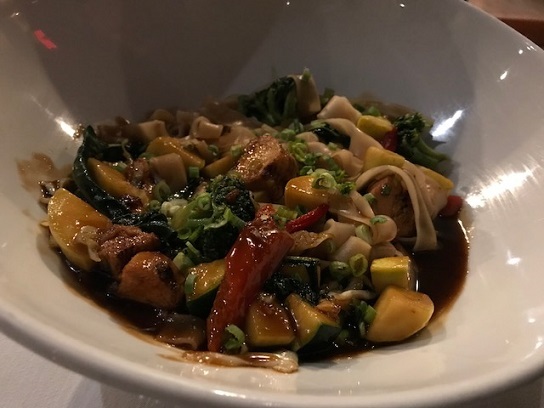 But I can see why the reader was excited about it, because the food is superior, the atmosphere serene and, at least on that Thursday, there was plenty of elbow room. This entry was posted in Restaurants: Pomona and tagged Pomona, restaurants by David Allen. Bookmark the permalink. Always enjoy a lunch or dinner at McKinley’s. We went to the Sunday Brunch last Easter and it was crowded, but excellent. A nice quiet place to enjoy any meal. For breakfast you can’t go wrong with their yogurt and fresh fruit or the oatmeal. Sometimes I get those breakfast choices (elsewhere) when I want to eat lighter. Btw, the occasion we were marking for our meal was Monica’s departure. Thought that was the case. She is really missed. Was just thinking about her this morning as I was considering some of the “stuff” going on here in Pomona.